Flexible or foldable phones are coming, more than likely with Samsung leading the way. 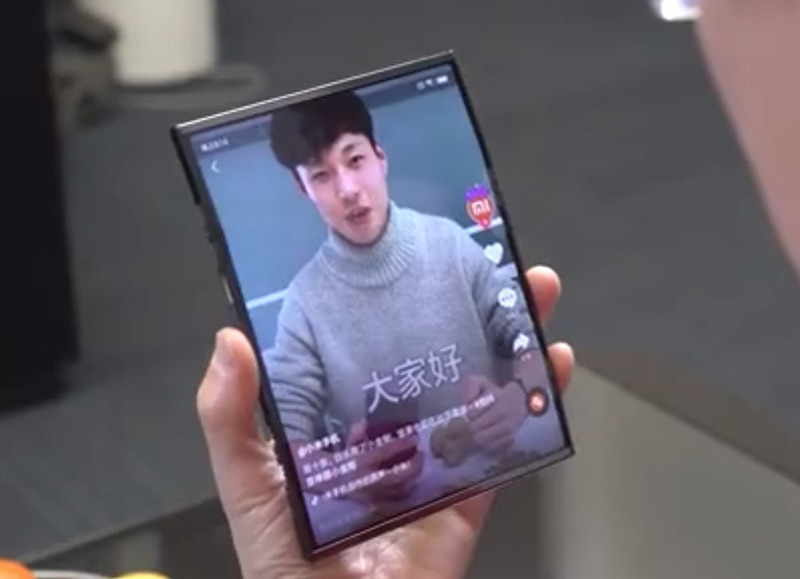 Don’t forget about companies like Xiaomi, though, who just showed off a prototype of a foldable phone that looks like a future I’m not sure many of us thought was possible. Xiaomi’s co-founder Lin Bin posted a video on Weibo yesterday of a prototype foldable phone they are working on. He didn’t say that it’ll be released any time soon, nor do they have a name for it, but man, it looks fun. The video of it is below. Unlike the supposed foldable new Moto Razr phone or the Samsung phone that folds, this Xiaomi device actually has two folds in it. In the clip, Lin Bin is looking at a device that has the appearance of a mini tablet. He then turns it sideways, while using it, and folds not one but two sides around to the back, leaving a device the size of a phone. And while he’s folding, the UI intuitively flips with him, even shrinking the viewable space down to just the front portion that hasn’t been folded. Is it practical or something you’ll want to buy? I don’t know. I just think it’s cool. This dude just took a mini tablet and folded it twice. It worked the whole time.